This weekend Intertops Poker and Juicy Stakes Casino host the second event in their new series of monthly $600 GTD Bounty Run Tournaments. Players are paid a$2 bounty for every player they knock out. 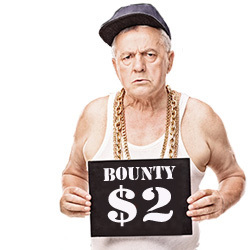 First and last place players get a free ticket to the Bounty Run Summer Special in June where the prize pool bumps to $1000 GTD and the bounty is doubled. Buy-in for Saturday’s game is $10 + $1 but 8 players won their seats at $2 Wednesday night satellites that each awarded two tickets to the monthly event. The $1000 GTD Winter Season Special will be on Saturday, December 28th.